Let’s face it! Birthdays are quite exciting for most people. It’s basically that one day out of the 365 days where you can call it “your day”. From being showered with gifts to spending the day with your loved ones, it can all be quite overwhelming. To top it all off, a surprise birthday party would just act as a cherry on the cake and make the day even more memorable. 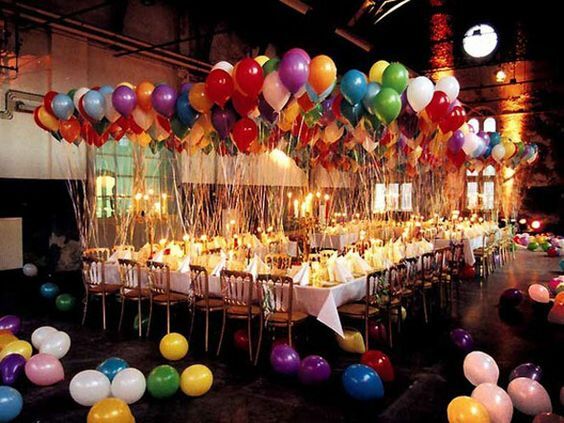 If you are planning on organizing a surprise birthday party for a dear friend or family member, then these tips will surely make the task easier. The first step is to choose a date based on the convenience of all the guests. Make sure the person for whom the party is being organized has no other plans on that day. Thereafter, it is important to decide on a venue that is suitable for the event. It could be at someone’s house or you could even reserve a private room at a restaurant for the party. Apart from this, you must place an order for the cake and ensure that you organize the entertainment as well. Lastly, you must ensure that the guests are given time to arrive at least 30 minutes prior to the arrival of the guest of honour. There is nothing worse than informing all the guests about the details of the event only to have one of them blurt it out in front of the birthday boy or girl, thus ruining your surprise. Make sure you create a group chat with all the guests and inform them about the essential details only. Avoid sharing every detail about the party as this will make it even more difficult to safeguard the details. Apart from this, you must ensure that you request the guests to take extra care to avoid mentioning anything to the birthday boy or girl that may raise suspicion regarding the brewing secret: the party. The most important part of a surprise birthday party is the “SURPRISE” itself. Therefore, it is necessary to ensure that everything is done according to the decided time in order to avoid any delays that may ruin the party. You wouldn’t want the birthday girl arriving at the party while you are still putting up the decorations right? Therefore, you must try to get everything done according to the schedule. Make sure the cake and décor pickup is completed 1-2 hours prior to the event in order to give you enough time to reach the venue and set up the place before the guests start arriving. In addition, you must also create a plan to get the guest of honour at the event without causing them to suspect you. Surprise parties can be quite difficult to organize as the tiniest mistake can cause all your hard work and effort to be wasted. So make sure you follow these tips if you wish to end up with a successful party rather than sulk about the epic fail of a party that you organized.